While we try to not involve politics in our journalism, as we know you readers come here to be entertained and informed about cars, it’s become very difficult in recent months. BMW is at the center of a bit of a tiff between United States’ President Donald Trump and Germany. President Trump is very upset about the trade deficit between the United States and Germany and the auto industry is the largest reason why. Germany exports millions of cars to the U.S. but we export very few, by comparison, to Germany. It’s recently been reported that President Trump called the Germans “very bad” and “evil” for the trade deficit. While Trump’s spokesman Sean Spicer has recently denied this, Trump did recently Tweet “We have a MASSIVE trade deficit with Germany, plus they pay FAR LESS than they should on NATO & military. Very bad for U.S. This will change.” This clearly bothers Trump, as well as a lot of other Republicans, who believe that the U.S. should place a large tariff on all German vehicles imported to America. However, this could mean big problems for BMW’s Spartanburg plant and, in turn, the entire state of South Carolina and the country. Since BMW first opened the doors to its Spartanburg, South Carolina plant, back in 1999, it has become a linchpin for the State’s economy. BMW is now celebrating its 25th anniversary of the Spartanburg plant and it now employs almost 9,000 people. 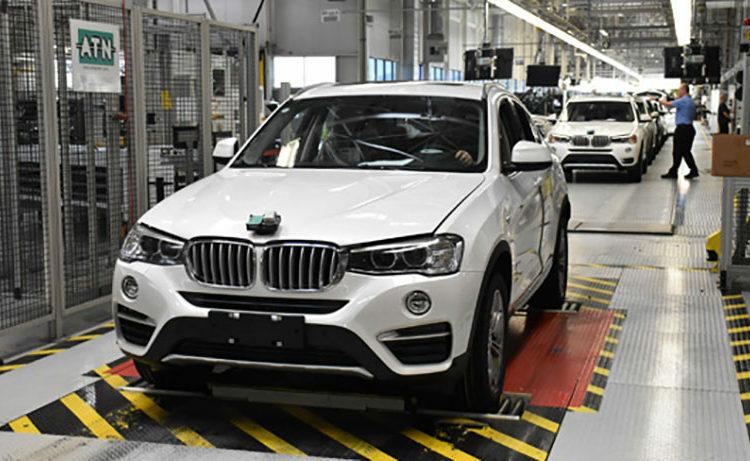 But it’s not only the people BMW directly employs that has helped, the supply chain across the state and even the country has grown significantly. This has created thousands of more jobs on top of the actual BMW plant. This uptick in jobs has drastically reduced the unemployment rate and spearheaded a booming economy. According to the Darla Moore School of Business at the University of South Carolina, BMW’s Spartanburg plant has created a ripple effect that has boosted indirect job opportunities and even increased wages across the entire state of South Carolina. “Certainly it’s the largest manufacturer, with the biggest impact on our GDP,” said Doug Woodward, economics professor at USC. But it isn’t just the impact that BMW has made on the state of South Carolina that makes the Spartanburg plant so important, it also helps the country. BMW exported about $10.5 billion in 2016, which helps America, not just South Carolina. More than 70 percent of BMW’s U.S. production is exported to over 140 different markets. Spartanburg supplies the entire world with all BMW X models (with the exception of the X1, which is based on a different platform). So every BMW X3, X4, X5, X6 and future X7 are all built in America. It’s unknown if President Trump will visit BMW’s Spartanburg South Carolina plant during its 25th anniversary, though it’s clear that he should. Visiting the plant might put into better perspective the impact that BMW, and free trade with Germany as a whole, has helped not only South Carolina’s economy but America’s.